I thought it was a good time to remind everyone about eclipses and their effects. Just so you can relax. It’s intense energy, but there are some benefits, so try to ride the energy and also see how the power of these lunar/solar events can open up new areas in your life. Why push against such energy? Might as well let it do the work for you!! Eclipses are emotionally taxing times, and you can expect the unexpected as well as fated events, so be prepared to be flexible. Eclipses can either clear huge obstacles or they manifest potential challenges and things can happen in a heartbeat. If you’re confronted with an unexpected situation or event, slow down and take in what is going on before you do anything. This is not a time for impulsiveness. Consider the saying, “Don’t just do something, sit there!” as good advise. Remain calm and know that the big picture will be revealed in a few days, so don’t panic or try to fix things. Best to take it easy and relax, and have a good sense of humor. Here is general info about Eclipses so that you’ll recognize the ways they can show up, and how you can work with the energy and harness it to help you. • For each of the 2 eclipses in a row in January, July and December/January – the energy lasts for about six weeks. You feel it two weeks before the 1st Eclipse, the two weeks in between the Solar and the Lunar, and then two more weeks after the Lunar Eclipse. • In your chart, you’ll feel the anxiety and experience the Eclipse effects most intensely in the houses that are ruled by the planets (for January’s Solar Eclipse it’s Capricorn), or anything in your chart at 15 degrees. For the Lunar on January 21st, you’ll feel it in the house that are ruled by Leo/Aquarius and anything in your chart at 0 degrees. • Eclipses have a “Uranian” quality – expect sudden changes, unpredictable events, moments of fate and fated events. • An Eclipse is like – POW! – a jolt, it makes things happen. 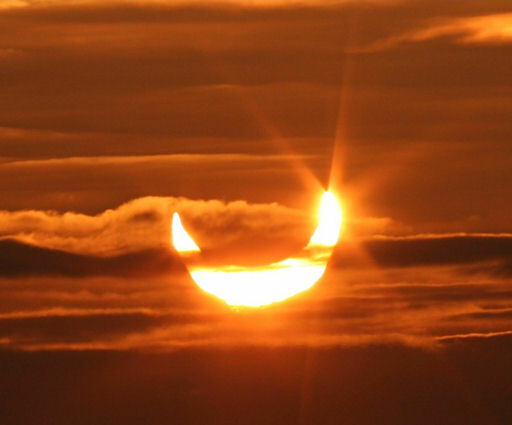 • Eclipses indicate “unnatural acts” (take a look at the news) – and you may feel un-natural around an Eclipse. • Things may seem blown out of proportion during an Eclipse. • Themes and issues will be revisited – what did you not deal with in your life for the last five months? Time to look at it! • Eclipses can “clean things out” – great time to do house clearings. So, slow down, breathe, and be extra mindful, stay as flexible as possible, and let go of trying to be in control. It’s a good time to practice being in the flow and listening to what is unfolding around you with patience and stability. great knowledge about Eclipses and thanks to share it. Terrific piece. I really completely clicked together with astrology articles � cathy towle nyc certified psychic medium. free psychic reading online chat just recently.